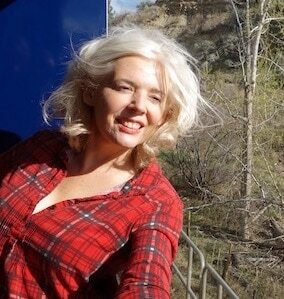 Mountains gorgeous enough to lick your lips over, piney-fresh air, a castle-like setting and maybe a grizzly or two. What’s not to like about Banff, Canada? 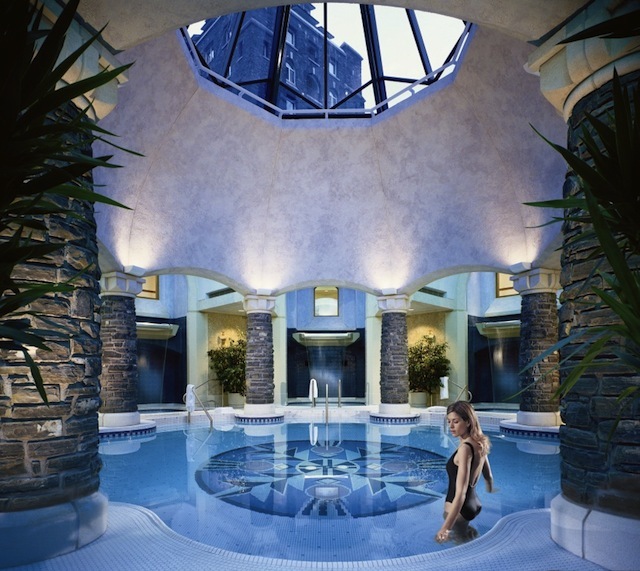 Add to this the elegant 11,600-metre Willow Stream Spa at the Fairmont Banff Springs, one of Canada’s best hotels, and you’ve got luxury at your feet and wellness at your fingertips. 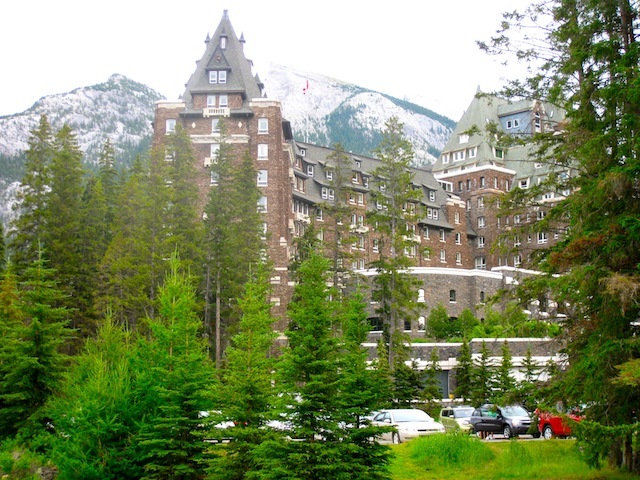 When the grandiose Banff Springs Hotel, modelled after a Scottish castle, was built in 1888 in order to bring wealthy tourists up to the Rockies on the Canadian Pacific Railway, the nearby sulphurous hot springs were a major lure. While the natural thermal water no longer reaches the hotel (though it did in 1886 via eight inch wooden pipes), the Willow Stream Spa at the Fairmont Banff Springs has created its own vision of a mineral pool, infusing their centrepiece pool with imported healing salts. Surrounded by smaller waterfall pools of varying temperatures and stout pillars of dark rundle stone that tie in the modern spa design with the hotel’s original exterior, the mineral pool at the Willow Stream Spa is harkens back to a traditional European water circuit, a wellness therapy intended to boost circulation, soothe sore muscles and promote relaxation. What’s unique about the Willow Stream Spa in Banff is the unbeatable Rocky Mountain view, a slope-side panorama of Bow Valley flanked by Tunnel and Rundle Mountains. It’s best enjoyed from the outdoor Jacuzzi – accessible only to spa patrons – or the hotel’s outdoor heated pool. Or in a deck chair with a glass of chilled chardonnay and a copy of Gone Girl in your lap. Share your spa tranquility with a Rockies Healing Ritual for Two. This two-hour signature experience in a deluxe couple’s suite includes fun goodies such as a body mask of glacial mud, red mineral mud or native clay and corn. A 90-minute Rose Renewal will have you wrapped up with rose oil from the interior of British Columbia while a 90-minute Majestic Blue will polish your skin with mineral salts and organic mountain lavender. New to the Willow Stream Spa is the Diamond Radiance Facial by B. Kamins, a $279 effective indulgence that uses diamond particles to get your skin as sparkling and clear as glacial ice while also softening and reducing the appearance of wrinkles. 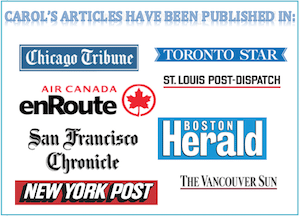 This writer has to say, when it comes to slathering high end product on your face, it’s a tough choice between diamonds or a $269 Ultimate Caviar Facial using Kerstin Florian products from Switzerland. 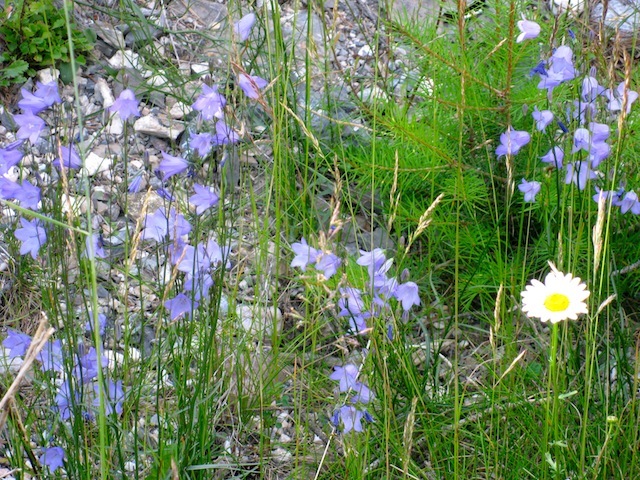 Why spa in Banff National Park? You’ve just gotta love Banff. Not just because Banff is right in the mountains, in beautiful Banff National Park, but because it’s a place that makes you feel outdoorsy even if you’re not, and therefore prompts you to hike farther and faster than you normally would, even if it’s only to the main street to buy a caramel-and-cashew encrusted bear claw at one of the decadent candy shops. 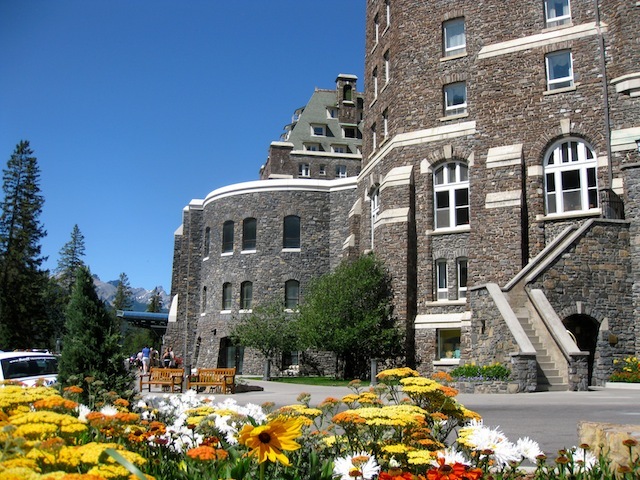 Check out availability and prices at the Fairmont Banff Springs. 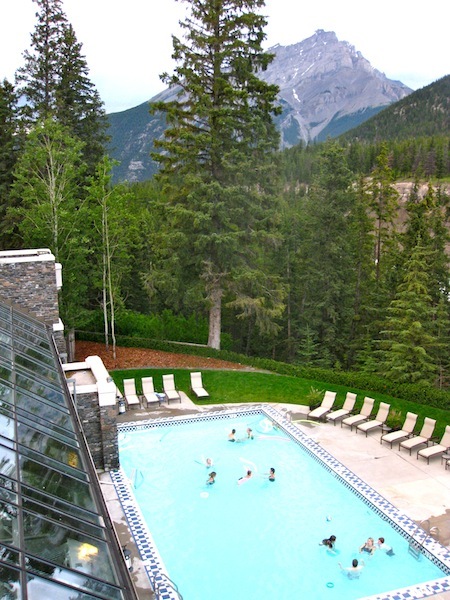 Another way to spa in Banff is to visit the nearby Banff Upper Hot Springs on Sulphur Mountain. Located at End of Mountain Avenue. The Roam Bus is a great way to get around Banff. Pick up a timetable from the Banff Visitor Information Centre at 224 Banff Ave.; 403-762-1550. Amazing sushi can be had right across from the Willow Stream Spa at the Samurai Sushi Bar and Restaurant on the main floor of the Fairmont Banff Springs. Just in case you missed your dinner appointment because you wouldn’t get out of the pool.